Staff photographer Mike Morones spent Veterans Day at Arlington Cemetery in Virginia, expecting to capture some powerful images. He was right. 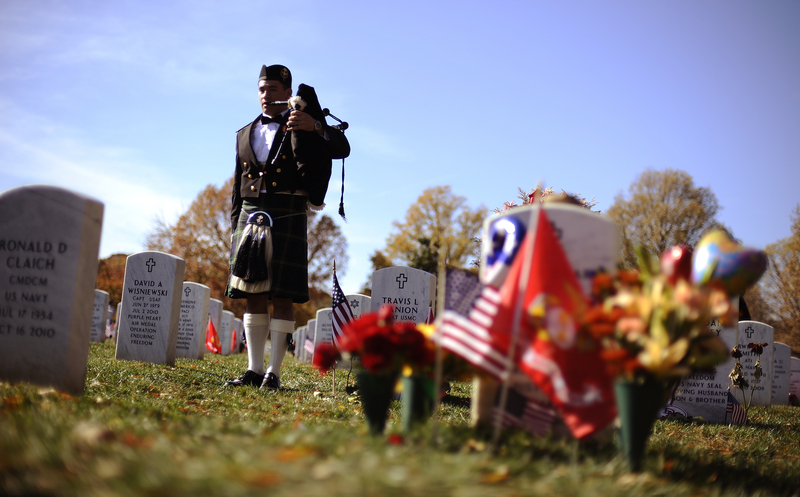 Here, Midshipman 1st Class Kieran Simonson plays bagpipes in Section 60 of the cemetery, the resting place for many service members killed since 2001. The officer-in-training said he never had played there before, and wanted to seize the opportunity on such an appropriate day. See more photos at our photo staff’s Line of Sight blog.